A fragrance of happiness and joyful femininity, discover La Vie est Belle. 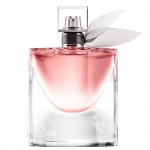 Lancome La Vie est Belle is an iconic fragrance with delicate magnolia, whose feminine essence runs through the entire collection, as a symbol of new beginnings, of happiness. 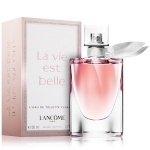 Lancome La Vie est Belle is a sweet and sophisticated fruity, floral gourmand perfume. It begins with Blackcurrant and Pear, over a effervescent and feminine floral heart of Iris, Orange Blossoms, Jasmine and a rich and beautiful combination of Tonka Bean, Praline, Patchouli and Vanilla at its base. 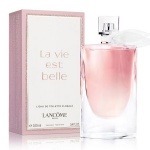 La vie est belle reinterprets its iconic Eau de Toilette with a new delicate and fresh fragrance. 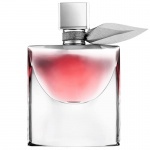 Lancôme La Vie Est Belle Eau De Toilette is illuminated with Magnolia Essence which adds a fresh luminosity and is a majestic interpretation of the iconic La vie est belle signature.